Open this kit’s custom case to find a cool collection of real cookie tool essentials perfect for inspiring chefs—plus five scrumptious heirloom cookie recipes not found outside a certain recipe box until now. It’s time for them to be shared, and for kids to learn how rewarding it is to make and give. 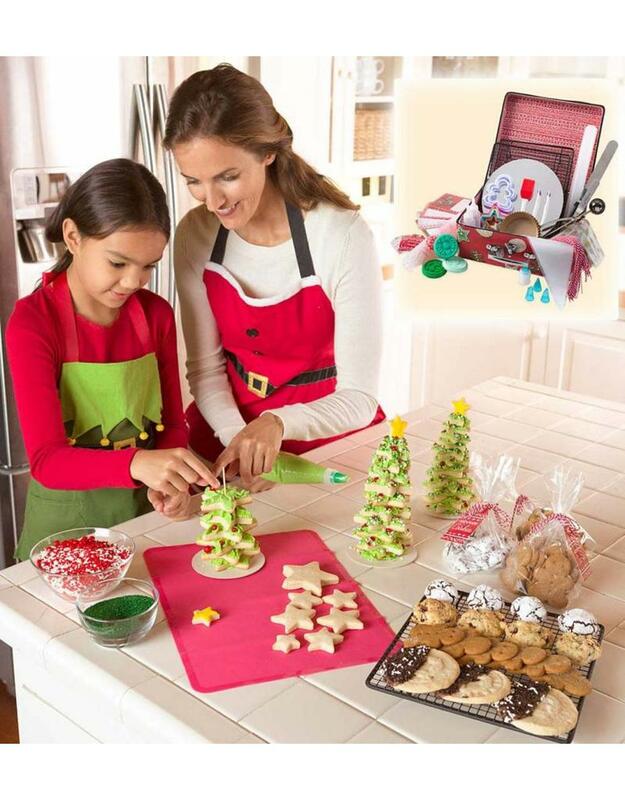 Includes a 23-piece baking set, festive gift bags, recipes for five different kinds of cookies (each of which requires different kinds of tools), as well as blank recipe cards—over 119 components in all (but not ingredients). A delicious experience in so many ways!